A Sony Classical artist, Daniel Taylor is one of the most sought-after countertenors in the world. Daniel appears on 100 recordings which include Bach Cantatas/Monteverdi Choir/Gardiner (for Deutsche Grammophone Archiv and SDG); Renaissance duets with Bowman /Actor Ralph Fiennes/TEM (BIS); Handel’s Rinaldo with Bartoli /AAM/Hogwood (Decca); Cantatas “Before Bach” with Collegium Vocale /Herrewege (Harmonia Mundi); Sakamoto’s pop-opera “Life” with the Dalai Lama and Salman Rushdie (Sony); Bach Cantatas with Bach Collegium Japan (BIS); a Bach recital with the Theatre of Early Music and a recital of Shakespeare’s songs (Sony); Vivaldi Gloria with the Bethlehem Bach Choir/Funfgeld (Analekta); Vivaldi’s Stabat Mater(BIS); four recordings of Handel’s Messiah, these being with the Montreal Symphony/Nagano (Universal), Kammerchor Stuttgart/Bernius (Carus), with the American Bach Soloists/Thomas(Koch) and a CD/DVD with Tafelmusik (Bravo Television). Daniel has recorded the CD/DVD of the Bach B minor Mass with the Ensemble Orchestral Paris/Nelson (EMI Virgin) and also a CD with the Kammerchor Stuttgart/Bernius (Carus). Upcoming recordings include Bach Cantatas with the Magdalena Consort/Chandos, Bach St. Matthew Passion with the Kammerchor Stuttgart/Bernius (Carus) and Handel Messiah with the Handel & Haydn Society/Christophers (Coro). Daniel’s debut at Glyndebourne in Peter Sellar’s staging of Handel’s Theodora (recorded for Erato) followed on his operatic debut in Jonathan Miller’s production of Handel’s Rodelinda (EMI). He took the title role in Gluck’s Orfeo at the Edinburgh Festival. His North American operatic debut was in Handel’s Cesare at the New York Metropolitan Opera. Daniel receives invitations from an ever-widening circle of the world’s leading early and contemporary music ensembles, appearing in opera (Metropolitan Opera, Glyndebourne, San Francisco, Rome, Welsh National Opera, Canadian Opera, Opera North, Montreal Opera and Munich); oratorio (Gabrieli Consort, Monteverdi Choir/English Baroque Soloists, Bach Collegium Japan, Les Arts Florissants, Berlin Akademie fur Alte Musik, Orchestra of the Age of Enlightenment, King’s Consort); symphonic works (Cleveland, St. Louis, Lisbon, Philadelphia, Tonhalle Zurich, Toronto, Gothenburg, Rotterdam, Montreal); recital (Vienna Konzerthaus, Frick Collection, New York, Forbidden Concert Hall, Beijing, Lufthansa Baroque Festival, Carnegie and Wigmore Hall, London) and film (Podeswa’s Five Senses for Fineline – winner at Cannes and also of a Genie). Daniel Taylor is now recognized as “Canada’s star countertenor” and “Canada’s most prolific recording artist”. Highlights of past engagements include Handel’s Messiah with San Francisco Symphony/Christophers; Handel’s Rinaldo with the Academy of Ancient Music/Hogwood, Handel’s Israel in Egypt with the Cleveland Orchestra/McGegan; Orff’s Carmina Burana with the Toronto Symphony/Oundjan; Messiah with the St. Louis Symphony/Christophers; Bach Christmas Oratorio with the National Arts Centre/Pinnock; Handel’s Rinaldo at the Munich Opera House/Bickett; Bernstein’s Chichester Psalms with the Philadelphia Orchestra/Dutoit; Handel’s Saul with Bachakademie Stuttgart/ Rilling (for Hänssler Classics); Buxtehude Cantatas with the Amsterdam Baroque Orchestra/Koopman (Channel Classics); Orff’s Carmina Burana with the Taiwan National Symphony/Grossman (Koch) and Schnittke’s Faust Cantata with the Rotterdam Philharmonic/Gergiev. Daniel also sang at a Pow-Wow of First Nations in Alberta and on Parliament Hill for Queen Elizabeth II and the Prime Minister of Canada. He appeared on German Television for the Prime Minister of Germany, on Spanish Television for the Queen of Spain and in a recital for the King and Queen of Sweden. With the Gabrieli Consort/McCreesh, Daniel toured Europe in Purcell’s Odes, appeared in recital on Polish Television and toured Purcell’s Dido and Aeneas; he also appeared in the Bach Christmas Oratorio with the Tonhalle Zurich Orchestra/McCreesh. With the Madrid National Orchestra/Goodwin, he sang in the Bach St. Matthew Passion on Spanish Television. With the Monteverdi Choir/Gardiner, Daniel appeared on the Bach Cantata Pilgrimage joining in concerts and recordings across Europe and North America. With the English Baroque Soloists/Gardiner, he appeared in Handel’s Israel in Egypt at the BBC Proms; returning to the BBC Proms in recital with the Berlin Akamus. During the last season, new recordings were released : Handel Messiah with the Montreal Symphony/Nagano (for Universal), Bach St. John Passion with the Bethlehem Bach Choir/Funfgeld (Analekta); Daniel also appeared on the new soundtrack with the Cirque du Soleil (Universal). Messiah performances included Dallas Symphony/Rilling, Tafelmusik and a return to Los Angelas and San Francisco Philharmonia Baroque/McGegan. Highlights also included Orff Carmina Burana with National Arts Centre Orchestra /Matheus. Recital appearances across the United States culminated in his return to New York’s Carnegie Hall followed by his return to the Teatro Colon in Buenos Aires for Handel’s opera Rinaldo. Upcoming engagements include the World Premiere of Robert Lepage’s production of Ades’ The Tempest, Handel’s Messiah with the Minnesota Symphony/Halls, Handel & Haydn Society Boston/Christophers and the Toronto Symphony/McGegan, Bach Cantatas with the Orchestra of the Age of Enlightenment, a recital with the Milwaukee Orchestra and also at Lincoln Centre and a recording of medieval music on the ECM label. Daniel’s latest recording was the new recital disc “Come Again, Sweet Love” on Sony. 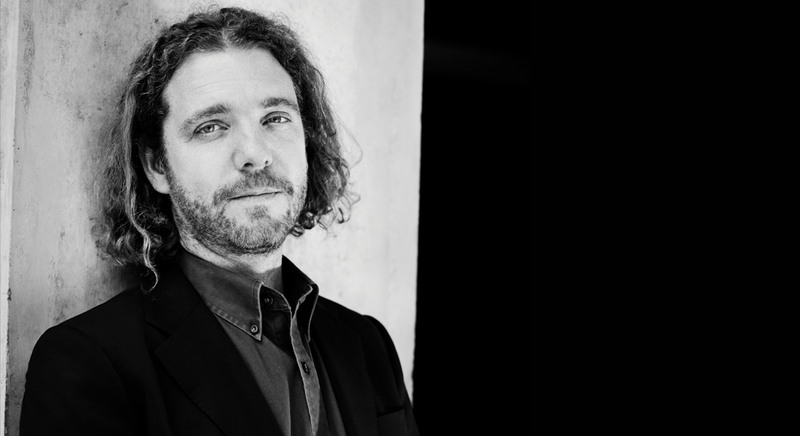 The University of Toronto recently appointed Daniel Taylor to the position of Head of Historical Performance in the Faculty of Music. Daniel’s responsibilities will include directing the Schola Cantorum Choir and Orchestra at the University of Toronto as well as coaching students in the Opera Department and maintaining a voice studio. Daniel is also a Visiting Professor at the University of Ottawa, Artist in Residence at the Opéra de Montréal and Artistic Director of the Quebec International Festival of Sacred Music. Daniel is Artistic Director and Conductor of the Choir and Orchestra of the Theatre of Early Music. The Theatre of Early Music performs more than 30 concerts every year in concert halls all over the world.